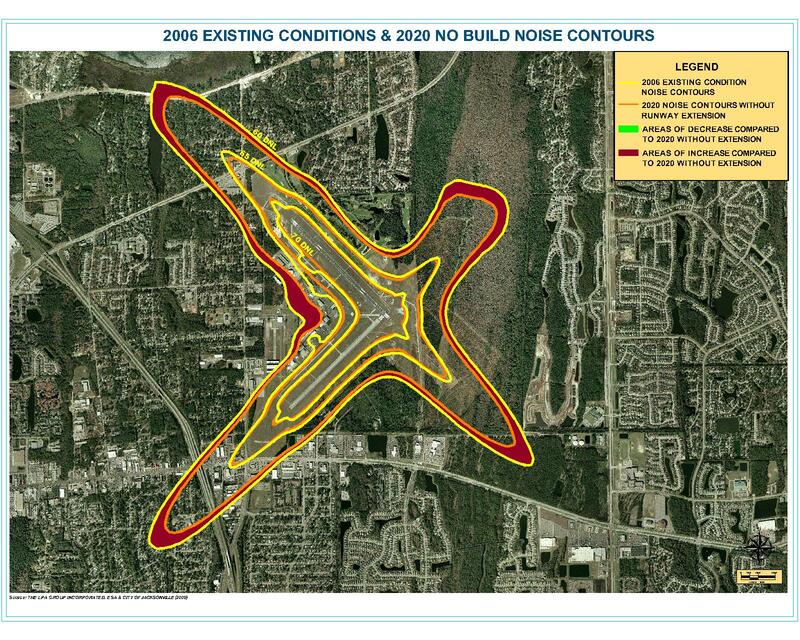 JAXEX strives to be a good neighbor to the community surrounding the airport. Part of that mission includes working with the community, pilots and tenants to mitigate noise generated from airport operations. Suspect an aircraft might be flying too low or too loud over your house? Once an event has been filed, JAXEX staff will investigate and follow-up. This will be a useful tool for the community to view local aviation activity (excluding military and law enforcement) and report noise incidents around all four airports. 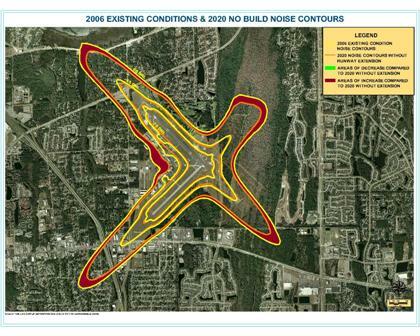 JAXEX staff will use the information to better monitor noise events and enhance our noise abatement program. Quarterly Noise Reports for the current calendar year are available online here. Reports from past years are also available here as well. 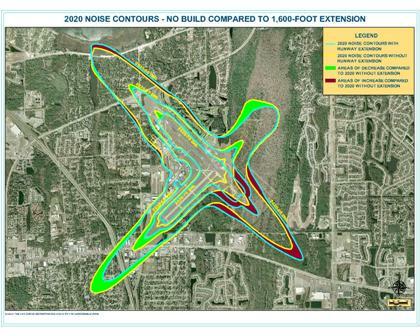 The following map compares current noise contours with contours projected for the year 2020 without a runway extension. This next map shows the difference between the 2020 noise contours with and without a runway extension. For further information on JAXEX's Noise Abatement Program, please call the Compliance Office at (904) 641-3606 or e-mail the Compliance Specialist.